Looking for some more fabulous life make overs? 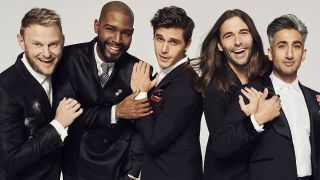 If you can't get enough of Netflix's rebooted Queer Eye show then you're in luck – the Fab 5 will be returning for a new series, with Netflix renewing the smash hit show. The critically acclaimed series, which follows five super-slick gay guys as they change the lives of stuck-in-their-ways straight men leads the charge for a whole host of renewed reality TV and documentary series on Netflix. Also making a comeback will be Dope (which already has a season premiere date set for April 20th), Drug Lords, Nailed It! and The Toys That Made Us. Dope focusses on the street-level war on drugs, speaking to both cops and dealers about their experiences, while Drug Lords goes to the top of the chain, offering biographies on some of the most notorious narcotic kingpins. In lighter fare, Nailed It! is a baking show with a difference, with incompetent cooks competing for a cash prize, while the charming The Toys That Made Us continues where the first series left off, giving the behind-the-scenes stories to your most cherished toys. "These series are indicative of what we're trying to accomplish for Netflix unscripted: working with world-class producers to create the best unscripted shows on television, said Bela Bajaria, VP of content at Netflix. "These series elevate the genre with innovative takes on familiar formats. They deliver immersive and nuanced stories. They elicit so many emotions from viewers, from tears of laughter to tears of joy -- and that's just Queer Eye."